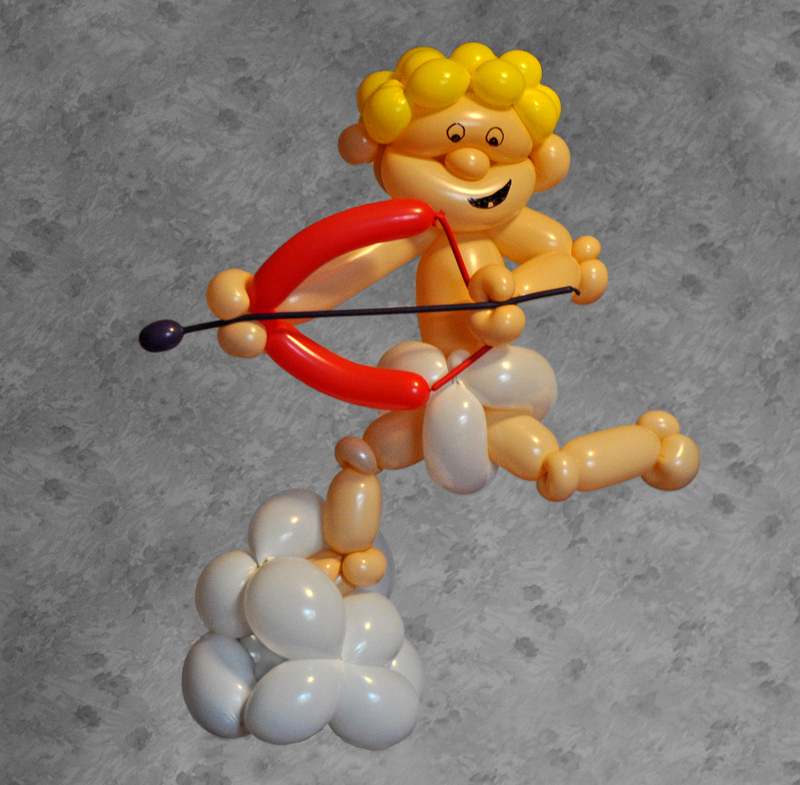 Its Valentines day so here is my Valentines themed balloon, its cupid with his bow and arrow. This is made up of 9 balloons. The first thing I did was to make his face and ears from a 260, then I added the hair (260), next I made the body out of a 350 and added a 260 for the arms, the legs were another 260 and the nappy/diaper was a 350. Finally I made a cloud from a 350, a bow from a 260 and an arrow from a 160. I cant remember how long he took, probably about 30-40 mins, the hardest thing was to position him correctly and then make him float in mid air for the photo.